I wanted to help support the works of two remarkable filmmakers whose films have debuted on DVD in the past week or two. 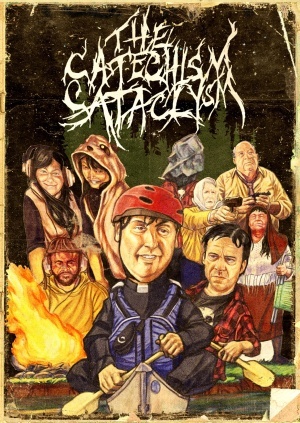 The first is Todd Rohal (“The Guatemalan Handshake”) who directed the side-splitting knee slapper, “Catechism Cataclysm” [MPI Home Video] starring Steve Little (East Bound and Down) and Robert Longstreet. This movie is about a most unlikely priest (Little) who has been given a leave of absence by his seniors as a result of his unconventional sermons. He takes the opportunity to get in touch with an old boyfriend of his sister’s with whom he’s had a life-long fascination. The two end up in a canoe trip from Hell (literally). “Cataclysm Catachsim”, aka “CatCat”, was edited by Alan Canant and shot by Ben Kasulke. I saw “CatCat” last summer and was instantly smitten. 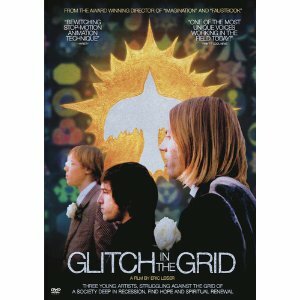 The other new DVD is “Glitch in the Grid” [Vanguard Cinema] directed by Filmwax alumni Eric Leiser. About 4 or 5 months ago I was looking at random movie trailers on Apple’s website and came across the trailer for this film. I watched it and made mental note. The next day I was strolling down Sixth Avenue in The Village when a young man on a skateboard pulled up right next to me with a mounted poster for the film. I turned to the young guy —whose name turned out to be Jeffrey Leiser— and said, “Well, that’s funny. Yesterday I watched the trailer for that movie.” He told me that his brother, Eric, directed the film and that he had edited it. Within 48 hours I had booked a screening of Glitch for Filmwax. We showed it about a month and a half ago to a packed room. Now the movie is out on DVD and I highly recommend it. It’s a lovely artful film about 2 brothers, loosely based on the Leiser brothers and acted by the Leiser brothers, who invite their depressed unemployed cousin (Jay Masonek) to move in with them in their Los Angeles pad. Not a whole lot more to them but they are all feeling sort of leading lives that are off the grid. I recommend either on mild hallucinogens or straight up. It’s not that I was skeptical or anything. But when I headed over to the opening night ceremonies for the Queens World Film Festival (formerly known as the Queen International Film Festival) at the Museum of the Moving Image, it was evident that organizers Don & Katha Cato were serious about putting their festival on the map. When my date for the evening, colleague Athena Georgiadis, and I first arrived at the museum I leaned in and said, “I won’t know anyone here tonight.” No sooner had those words left my mouth then I then I had to swallow them. First off, my mate Jack Feldstein, was on hand. Not only is the filmmaker/animator on the festival’s jury but he’s curated The Subway Series as part of Sunday’s programming to take place at the Renaissance Charter School, 35-59 81st Street in Jackson Heights. Among those short films included in Jack’s series is Gabe Rodriguez’ “The Q to the 6”, a short I showed as part of the Filmwax Film Series last September. Another event that I look back on with fond memories is Jack’s Evening of Neon Animation.